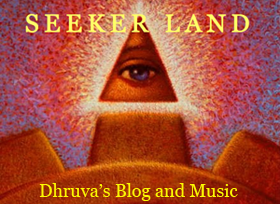 Seeker Land: The Debate Is Not Over. Man Made Global Warming Is Bogus. The Debate Is Not Over. Man Made Global Warming Is Bogus. Mark Twain said, "A lie can get half way around the world while the truth is still putting on it's shoes." Now tens of thousands of scientists all over the world are saying Global Warming is not Man Made. It is a natural cycle. The British High Court recently announced that Gore's movie cannot be shown in schools without a disclaimer because it has major flaws. 2,000 years ago the Romans wrote that it was so warm outside that they could grow very nice wine grapes in England. Then it got colder for many centuries until Medieval times when they started to write again about growing grapes in England. This is called the Medieval Warm Period. Then it got colder again for several centuries until now. With the help of hybrids (genetic modification) we are just starting to grow grapes again in England. But it's still not as warm as it was back in those days when the Vikings settled Greenland and called it "Greenland" because there was much less ice there (they either meant it was green or a good place to live). It was warmer than it is now, but it got much colder centuries later, and the Vikings could not survive there any longer. Back in those warm periods there were no video cameras to show Polar Bears standing on little icebergs, and there was no Al Gore to hype up things up for political gain. Back then the hype was religion. Now, Global Warming has become a new religion. Pollution IS bad, we are creating synthetic molecules that have never existed before and some of it is screwing up our ecosystem. Mercury poisoning in the sea and the plastic in the sea are REAL problems that seriously deserve the amount of attention that the man made global warming hoax is getting, but very few people are talking about those real problems. For the past decade the ice on Mars has been steadily melting. There are no factories or SUVs on Mars, so why is the ice melting? Because the Sun is heating it up. That is the same sun that heats the earth. It's the Sun that causes warming on Mars and on Earth, not pollutants. And those Polar Bears that Gore showed you are only 2 of 19 different populations of Polar Bears, the other 17 are actually at optimum levels or expanding in growth. There are Climatologists all over the world that say the only thing causing global warming besides the Sun, is Gore's hot air. Gore, by the way, has made over 100 million off the global warming industry and stands to make 100's of millions more off carbon offsets. that the carbon dioxide cap-and-trade scheme could actually hurt the environment by reducing CO2 levels. POZNAN, Poland - The UN global warming conference currently underway in Poland is about to face a serious challenge from over 650 dissenting scientists from around the globe who are criticizing the climate claims made by the UN IPCC and former Vice President Al Gore. Set for release this week, a newly updated U.S. Senate Minority Report features the dissenting voices of over 650 international scientists, many current and former UN IPCC scientists, who have now turned against the UN. The report has added about 250 scientists (and growing) in 2008 to the over 400 scientists who spoke out in 2007. The over 650 dissenting scientists are more than 12 times the number of UN scientists (52) who authored the media hyped IPCC 2007 Summary for Policymakers. “I am a skeptic…Global warming has become a new religion.” - Nobel Prize Winner for Physics, Ivar Giaever. “The IPCC has actually become a closed circuit; it doesn’t listen to others. It doesn’t have open minds… I am really amazed that the Nobel Peace Prize has been given on scientifically incorrect conclusions by people who are not geologists,” - Indian geologist Dr. Arun D. Ahluwalia at Punjab University and a board member of the UN-supported International Year of the Planet. “It is a blatant lie put forth in the media that makes it seem there is only a fringe of scientists who don’t buy into anthropogenic global warming.” - U.S Government Atmospheric Scientist Stanley B. Goldenberg of the Hurricane Research Division of NOAA. “After reading [UN IPCC chairman] Pachauri's asinine comment [comparing skeptics to] Flat Earthers, it's hard to remain quiet.” - Climate statistician Dr. William M. Briggs, who specializes in the statistics of forecast evaluation, serves on the American Meteorological Society's Probability and Statistics Committee and is an Associate Editor of Monthly Weather Review. “Gore prompted me to start delving into the science again and I quickly found myself solidly in the skeptic camp…Climate models can at best be useful for explaining climate changes after the fact.” - Meteorologist Hajo Smit of Holland, who reversed his belief in man-made warming to become a skeptic, is a former member of the Dutch UN IPCC committee. “CO2 emissions make absolutely no difference one way or another….Every scientist knows this, but it doesn’t pay to say so…Global warming, as a political vehicle, keeps Europeans in the driver’s seat and developing nations walking barefoot.” - Dr. Takeda Kunihiko, vice-chancellor of the Institute of Science and Technology Research at Chubu University in Japan. Meanwhile, while the UN climate conference is in session here in Poznan, the bad scientific news for promoters of man-made climate alarm just keeps rolling in. Below is a very small sampling of very inconvenient developments for Gore, the United Nations, and their promoters in the mainstream media. Peer-reviewed studies, analyses, and prominent scientists continue to speak out to refute climate fears. The data presented below is just from the past week. Excerpt: In this dose of peer-reviewed skeptical climatological literature, we follow Climate Research News. The blog was intrigued by a new article in Geophysical Research Letters that was accepted on Friday, December 5th. Eichler, A., S. Olivier, K. Henderson, A. Laube, J. Beer, T. Papina, H. W. Gäggeler, and M. Schwikowski: Temperature response in the Altai region lags solar forcing - Recall that the Siberian Altai Mountains are found at the intersection of Russia, China, Mongolia, and Kazakhstan. The authors looked at 750 years worth of the local ice core, especially the oxygen isotope. They claim to have found a very strong correlation between the concentration of this isotope (i.e. temperature) on one side and the known solar activity in the epoch 1250-1850. Their data seem to be precise enough to determine the lag, about 10-30 years. It takes some time for the climate to respond to the solar changes. It seems that they also have data to claim that the correlation gets less precise after 1850. They attribute the deviation to CO2 and by comparing the magnitude of the forcings, they conclude that "Our results are in agreement with studies based on NH temperature reconstructions [Scafetta et al., 2007] revealing that only up to approximately 50% of the observed global warming in the last 100 years can be explained by the Sun." Well, the word "only" is somewhat cute in comparison with the "mainstream" fashionable ideology. The IPCC said that they saw a 90% probability that "most" of the recent warming was man-made. The present paper would reduce this figure, 90%, to less than 50% because the Sun itself is responsible for 1/2 of the warming and not the whole 50% of the warming could have been caused by CO2 because there are other effects, too. Note that if 0.3 °C or 0.4 °C of warming in the 20th century was due to the increasing CO2 levels, the climate sensitivity is decisively smaller than 1 °C. At any rate, the expected 21st century warming due to CO2 would be another 0.3-0.4 °C, and this time, if the solar activity contributes with the opposite sign, these two effects could cancel. Even if you try to stretch these numbers a little bit - but not unrealistically - you have to become sure that the participants of the Poznan conference are lunatics. 21 spotless days and solar magnetic field still in a funk – Meteorologist Anthony Watts Excerpt: We are now at 21 days with no sunspots, it will be interesting to see if we reach a spotless 30 day period and then perhaps a spotless month of December. New Arctic ice analysis reveals ‘No clear evidence of a delay in the start of the later summer/early fall freeze up or the start of the late winter/early spring melt’ – Excerpt: Based on analysis by William Chapman, author of The Cryosphere Today website, graciously prepared an analysis of the dates of the minimum and maximum Arctic sea ice coverage since 1979. Oscillation Rules as the Pacific Cools – December 9, 2008 Excerpt: A cool wedge of lower-than-normal sea-surface heights continues to dominate the tropical Pacific, ringed by a horseshoe of warmer waters. The continuation of this long-term cool phase of the Pacific Decadal Oscillation stacks the odds against a wetter-than-average winter/spring in the southwestern United States. The latest image of sea-surface height measurements from the U.S./French Jason-1 oceanography satellite shows the Pacific Ocean remains locked in a strong, cool phase of the Pacific Decadal Oscillation, a large, long-lived pattern of climate variability in the Pacific associated with a general cooling of Pacific waters. […] Sea-surface temperature satellite data from the National Oceanic and Atmospheric Administration mirror Jason sea-surface height measurements, clearly showing a cool Pacific Decadal Oscillation pattern, as seen at: http://www.cdc.noaa.gov/map/images/sst/sst.anom.gif . "This multi-year Pacific Decadal Oscillation 'cool' trend can cause La Niña-like impacts around the Pacific basin," said Bill Patzert, an oceanographer and climatologist at NASA's Jet Propulsion Laboratory. […] This cool phase will likely persist this winter and, perhaps, beyond. Report: Sea Level rise 'has stumbled since 2005' – Meteorologist Anthony Watts – December 5, 2008 Excerpt: We’ve been waiting for the UC web page to be updated with the most recent sea level data. It finally has been updated for 2008. It looks like the steady upward trend of sea level as measured by satellite has stumbled since 2005. The 60 day line in blue tells the story. From the University of Colorado web page: “Long-term mean sea level change is a variable of considerable interest in the studies of global climate change. The measurement of long-term changes in global mean sea level can provide an important corroboration of predictions by climate models of global warming. Long term sea level variations are primarily determined with two different methods.” - Yes, I would agree, it is indeed a variable of considerable interest. The question now is, how is it linked to global climate change (aka global warming) if CO2 continues to increase, and sea level does not? Report: NASA’s James Hansen "adjusts" a cooling trend into a warming trend - December 9, 2008 Excerpt: "[H]ere is what the data looks like before and after NASA GISS adjusts it. These are the USHCN “raw” and “homogenized” data plots from the GISTEMP website. The before and after is quite something to behold. ... What was down, is now up." "How not to measure temperature, part 79"
By Geophysicist Dr. David Deming, associate professor of arts and sciences at the University of Oklahoma who has published numerous peer-reviewed research articles. Excerpt: Environmental extremists and global warming alarmists are in denial and running for cover. Their rationale for continuing a lost cause is that weather events in the short term are not necessarily related to long-term climatic trends. But these are the same people who screamed at us each year that ordinary weather events such as high temperatures or hurricanes were undeniable evidence of imminent doom. Now that global warming is over, politicians are finally ready to enact dubious solutions to a non-existent problem. […] To the extent global warming was ever valid, it is now officially over. It is time to file this theory in the dustbin of history, next to Aristotelean physics, Neptunism, the geocentric universe, phlogiston, and a plethora of other incorrect scientific theories, all of which had vocal and dogmatic supporters who cited incontrovertible evidence. Weather and climate change are natural processes beyond human control. To argue otherwise is to deny the factual evidence. Climate Chancellor' No More – Der Spiegel Excerpt: Angela Merkel is facing withering criticism for remarks she made on Monday that seemed to back away from her earlier commitment to tackling climate change. Excerpt: As more than 10,000 delegates and observers gather in Poznan, Poland, to discuss the next phase in the battle against "climate change," a U.N. agency at the center of that hoopla badly needs to do some in-house weather-proofing. […] But the WMO, the $80 million U.N. front-line agency in the climate change struggle, and the source for much of the world's information in the global atmosphere and water supply, has serious management problems of its own, despite its rapidly expanding global ambitions. The international agency has been sharply criticized by a U.N. inspection unit in a confidential report obtained by FOX News, for, among other things, haphazard budget practices, deeply flawed organizational procedures, and no effective oversight by the 188 nations that formally make up its membership and dole out its funds. The inspection was carried out by a member of the United Nations Joint Inspection Unit (JIU), a small, independent branch of the U.N. that reports to the General Assembly and is mandated to improve the organization's efficiency and coordination through its inspection process. […] WMO did not respond to a series of questions from FOX News regarding its future programs, sent on the eve of the Poznan meeting. 16-year-old suggests sheep dung can help save planet Card business has really dung good - Daily Post North WalesExcerpt: The company makes its products at the Twll Golau Papermill in Aberllefenni Slate Quarry using sustainable fuel and materials. Every sheet of paper is made from recycled materials, including sheep dung, waste paper and discarded rags, using processes designed to affect the natural environment as little as possible. […] Katie 16, from Tal-y-Bont, Conwy, was appointed to help spread the word on how Wales can reduce its carbon footprint and is urging other North Wales businesses to follow Creative Paper Wales’ example and adopt innovative approaches to the design and manufacture of products and the delivery of services. Lord Christopher Monckton: 'Companies could be sued over climate change' Excerpt: The alarmist faction knows that, if it were to bring a case against a corporation whose executives were not minded merely to believe in the extremist presentation of "global warming" just because it is temporarily in fashion, they would lose. The case of Dimmock v. Secretaries of State for Education and for the Environment in the UK in 2007 was a very clear warning. The UK Government threw all of the resources of the taxpayer and of the Meteorological Office at the case, attempting to defend Al Gore's sci-fi comedy horror movie against the plaintiff's allegation that it was serially and seriously inaccurate. The Government failed and was humiliated. The judge, having heard both sides, said bluntly of Al Gore, and particularly of his unscientific allegation that sea level was about to rise by 20 feet, that "the Armageddon scenario that he depicts is not based on any scientific view". A few more judgments like that and the "global warming" fantasy would rapidly collapse. End of scare.